Jon Favreau stars and directs in his newest vehicle, Chef. Instead of shooting this thing in the vein of Iron Man or Cowboys & Aliens, Favreau reverts back to the stylings of his 2001 mob comedy Made, to get the job done. He films at a brisk pace with solid, diversified music dictating the rhythms of the scenes/actors. Predicated on the world of culinary craftsmanship, food critics, and restaurant management, Chef only falters in its characters who are either underdeveloped, unlikable, or whose motivations don't quite make sense. This is a good film but it's far from perfect. It's a shame considering the cast which is about as strong as anything I've seen so far this year. With co-stars from Favreau's other movies (mainly Iron Man alums Robert Downey, Jr. and Scarlett Johansson) and tight editing by Robert Leighton (he cut last year's Now You See Me), Chef becomes a detailed character study of one Carl Casper (Jon Favreau in the lead role). Casper has been working at a high-end L.A. restaurant for 10 years. He's successful, loves his job, but seems bored at the same menu he's been doing day in and day out. 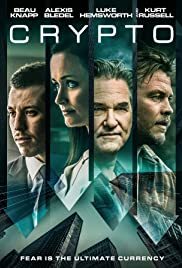 With a food critic coming into town (played by Oliver Platt as Ramsey Michel, an obvious nod to the famous chef Gordon Ramsey), Casper wants to prove himself and grow business even more. He then decides to spice up said menu a little bit by adding new stuff. This results in a clash between him and his boss, a stern, stubborn restaurant owner named Riva (played by the legendary Dustin Hoffman who's obviously into doing bit parts now). This conflict causes Casper to quit his job, go to Miami, Florida with his son (along with Inez, his ex-wife played by Sophia Vergara), and open his own food truck (one that makes Cuban sandwiches, yum!). Carl can cook what he wants, find his place in the culinary world, and mainly get back on his feet. In a nutshell, Chef is storytelling at a much smaller scale than we're used to seeing from this Queens born director. Thankfully, it works because as an audience member, you stay involved no matter what. Favreau's Carl is initially unlikable but his heart is in his craft and ultimately he wins you over. You find out that he's a distant father, an unhappy sulk, and a heart-sleeve wearing dude (not always in a good way). But you pull for him to succeed and that's all the more reason to believe that Favreau can effectively do double duty as lead actor and director. Of note: there were a couple of things that seemed to baffle me after I finished viewing Chef. For instance, I didn't get why Sofia Vergara's character and Jon Favreau's character were divorced in the first place. I'm not saying they were meant for each other, but they seemed overly friendly and way too civil. Besides the whole "growing apart" aspect, I needed a deeper, darker reason to justify the fact that they had been apart for so long. Then there's the whole aspect of Favreau's ex-wife's ex-husband out of nowhere floating the bill for his food truck. Robert Downey, Jr.'s creepy cameo in this role is good but what's the real motivation for helping Favreau's Casper out? I guess he feels guilty for sleeping with Inez recently or something. I couldn't tell. Finally, there is Chef's neat ending. It's a happy one but it feels rushed, too calculated, too ironic, and unrealistic. If anything, the closing outtakes involving a real chef (on-set consultant) showing Favreau how to make a grill cheese sandwich, are much more interesting (the film's strength lies heavily in its authentic take on how food is made). When it's all said and done, Chef is a good film that probably could have been a heck of a lot better. I took in a midday screening knowing that one of my favorite things to do is to eat great food. I'm gonna go ahead and recommend this thing because it seems rationalized and faithful in the way it portrays how things are cooked, the knowledge chefs have, the way they act, and the close up images (of things to eat) that will truly make your mouth water. But I can't get over the slight unlikability factor in Favreau's character's persona. He's a bit closed off, kinda defensive, always seeking approval from everybody, and a little snippy to his overly patient son. Favreau's a good actor, gives a decent, researched performance, but his Carl Casper sort of left me with a bad taste in my mouth (get it). He's a little too unhappy. He's a tad selfish and he doesn't always treat people around him very well (Casper seems to have his cronies kissing up to him while following him around a lot). Also, I know that I have to get in touch with today's modern world of technology, but Chef seems way too involved in the aspect of social networking (you know Twitter, Facebook, 1 second videos, etc...etc..). I mean this flick could probably be the spokesperson for every iPhone, iPad, smartphone, or Twitter handle out there. Utter nonsense! Fruitvale Station and Non-Stop were films that showed texts messages being read on screen. Chef does this too (in the form of Twitter) but it comes off as goofy and to a lesser effect, unnecessary. Character flaws and gimmickry aside, I'd say that if you're one of those Food Network watchers or are in the restaurant industry, Chef might fill a small void. Even though it's billed as a comedy, I wouldn't call what's on screen funny (the humor is too mild to provoke any hearty laughs). Chef is more like a drama about having a passion in something (in this case, cooking) coaxed with a father/son dynamic, coaxed with a sort of a happy-go-lucky road trip feel as well. In essence, Favreau makes a smooth transition from directing action flicks and in doing so, he "cooks" up a small film that's well, fairly decent.